My first encounter with Lebo Mashile was in 2012 at London’s Southbank Centre during a salon on African creativity. We shared a stage, which naturally she stole with her urgent yet joyful spoken word performance. The South African artist captivated the 500-strong audience (a small one for this powerhouse) with her mellifluous words touching on race, feminism and identity. 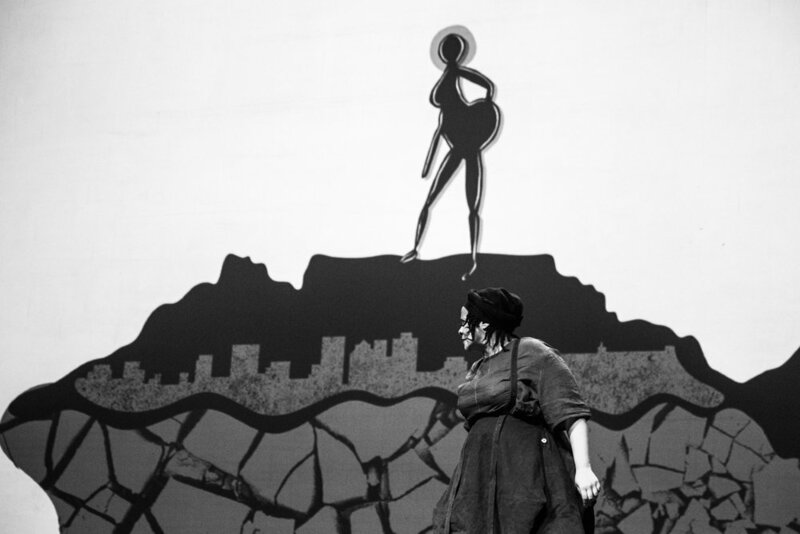 Fast forward six years and we meet again at Design Indaba 2018, where she’s flexing a few more of her many accomplished talents as a performer, presenter, speaker, actor, writer and poet, as well as previewing an original theatre piece on the life of Sarah Baartman, Saartjie vs. Venus. During her conference talk she explains how her parents, both activists in Soweto, had moved to Rhode Island in the US to escape persecution. She was born there in 1979, yet spent some of her childhood in South Africa, the whole family returning in 1995 as apartheid fell. Mashile describes this time as a “tumultuous experience” that tore her parents apart and bred in her a deep confusion about her place in the world. As a teenager she buried herself in books and kept a journal that became her lifeline. “It was the only place I could process what was going on, and then bury it under my bed,” she says. It was at university in Johannesburg that she began to believe in her creative voice. Rather than studying law in the library, she jokes that she did “a major in Joburg’s underground scene and a minor in boys and weed.” Since then she’s spent 20 years developing an impressive, multi-award-winning career taking in two collections of poetry, two albums, a role in the 2006 Academy-nominated film Hotel Rwanda, a stint as a prime time TV presenter and innumerable lauded stage and screen productions. She’s a household name at home and has taken her work to over two-dozen countries. All this, she says on stage, is due to the significant role poetry has played in her country. She finishes by sharing a few poems, each one merging into the next, picking up speed and raw emotions, addressing highly charged themes of access, violence and misogyny that she will not allow to be ignored. As she emerges backstage, flush with passion and energy, I sit her down to ask her why she chose these works. This last sentence sums up all of Mashile’s output. Her work is smart, infectious, accessible and challenging, and regardless of the medium she chooses to express her unwavering messages, her large heart and compassionate humour always floods through. I confess that I wish I had been her gal pal way back when she was educating herself in Joburg’s late 90s poetry slams. “That time was the bomb,” she says, followed by a large, conspiratorial laugh. “South African youth culture was exploding in every perceptible way. Kwaito was at its peak, hip hop was just beginning to bubble up to the surface, and every night of the week you could go out and experience a different art. When I went to my first poetry session I realised that people take what they write in their journals and actually share it with people. I fell in love with that idea. The underground cooked me, it taught me how to respect audiences. As a poet and a writer, I located myself within all of the different art forms that were happening and there was nothing unnatural about that, or about being politicised. It also makes it the right time for Saartjie vs. Venus. Baartman was a Khoi woman brought from Cape Town to London in the early 19th century and exhibited as a freak show due to her shapely figure. Known as Hottentot Venus, she attracted audiences in the UK and France and after her premature death in 1815, her brain, skeleton and genitalia, as well as a plaster cast of her body, were displayed in a Paris museum. She was finally being repatriated in 2002. Baartman’s life story has become well known and Mashile has been repeatedly drawn to toward it, feeling empathy for the way she was objectified as a black female performer. After reading Rachel Holmes’ in-depth biography three years ago, she approached director Pamela Nomvete and began to workshop ideas around it. 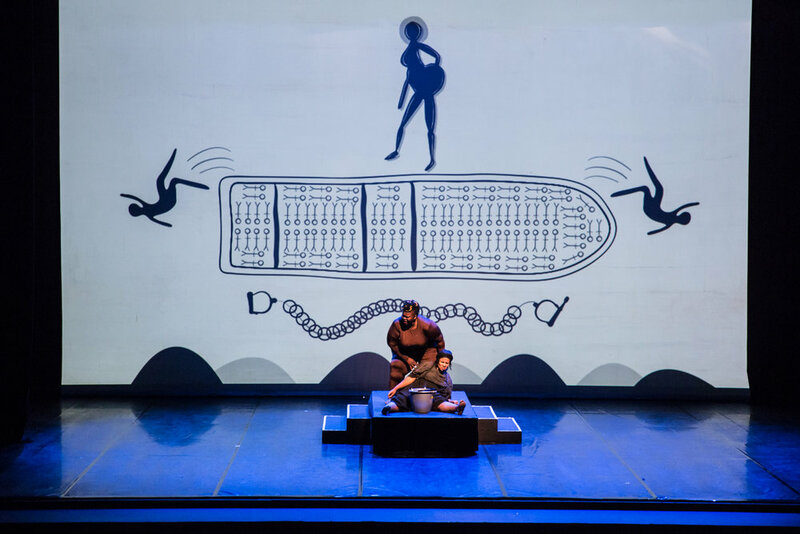 But it wasn’t until she met the supremely versatile vocalist Anne Masina, while curating the first season of William Kentridge’s Centre For the Less Good Idea in 2017, that the project truly clicked. In Masina she’d found her Saartjie. The following evening the pair debut 45-minutes of what will be a one and half hour production. Performing together, they are devastating moving to watch as they reimagine their heroine’s short and tortured life. We see her being taunted, abused, lusted after and argued over, exploited both as a scientific curiosity and as a symbol in the abolition of slavery. Nevertheless it’s clear that however victimised Saartjie may have been, she also considered herself an artist and proudly chose to stay in those circumstances rather than return home, even when given the chance to do so.